Self-contained devices, such as autonomous vehicles, drones and IoT devices, will push out cloud services as more computing moves to the edge, say venture capitalists. SAN FRANCISCO -- The ubiquitous cloud computing craze may not be long for this world if venture capitalist Peter Levine is right. The Andreessen Horowitz general partner said that as more computing capabilities move to so-called "edge" devices, including anything from driverless cars and drones to the boundless devices that make up the internet of things (IoT), the cloud will slowly evaporate. "A large portion of computation that gets done in the cloud today will return to the edge," said Levine at the Wall Street Journal's CIO Network event here Tuesday. Levine said the driverless car, whose 200-plus CPUs effectively make it a "data center on wheels," is a prime example of an edge device whose computing capabilities must be self-contained. 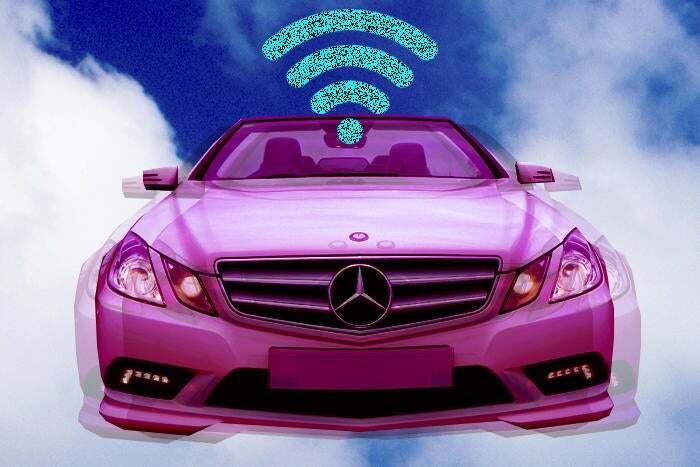 Levine said that an autonomous vehicle relying on the cloud for data would blow through stop signs and crash because of the latency associated with transmitting data from the car to the cloud. The cloud will also cripple many scenarios for machine learning, which relies on speedy computing to deliver faster decision-making. Edge computing is less a novelty than perhaps the next computing cycle, Levine said. Decades ago most computing was centralized in mainframes, with banks and most other large enterprise relying on the refrigerator-sized cabinets to manage their business operations. Many mainframes were decommissioned to make room for the decentralized client-server era. The cloud is essentially the new mainframe hosted in a vendor's data center. If the natural ebb and flow of computing holds, the edge will accelerate the next leg of distributed computing. And that means the cloud "goes away in the not-too-distant future," Levine said. It's a scary proposition for the thousands of vendors hawking cloud services. For the past decade, Amazon Web Services, Google, Microsoft, Salesforce.com and others have stood up applications, infrastructure, storage and virtually every conceivable type of computing task imaginable as a service. But a venture capitalist’s job is to take a broader, longer view so that they can see what innovations are coming next. Levine is essentially saying the cloud disruptors will be disrupted in the next five to 10 years. Diana McKenzie, CIO of cloud business application provider Workday, isn’t buying the "provocative point" that the cloud will disappear. She said it will co-exist with the edge. For example, McKenzie said that companies will want to aggregate data collected from edge devices in a cloud for analysis and, ideally, business insights. "I can't imagine there will ever not be a place for cloud computing," McKenzie tells CIO.com. "The challenge for us as CIOs is to make sure we're thinking about it more on a continuum than on a black and white basis. Then the next challenge is how you architect for that." The cloud-to-edge debate was a hot topic, but it was hardly the only theme tackled by Levine and his panel peers -- Accel partners Rich Wong and General Catalyst Managing Director Steve Herrod offered some other thoughts about emerging trends. From big data to machine learning: Big data 1.0 included collecting lots of information but the next wave involves predicting what is going to happen in the future, said Levine. "Machine learning unlocking these vast stores of information that we have... that can help us predict the future in better ways is absolutely happening right now," Levine said. For example, machine learning is used to predict cybersecurity attacks and IT system failures. Wong said that enterprises can use machine learning to automate IT service functions, such as password resets for customers. Entrusting such corporate operations to machine algorithms can yield anywhere from 30 percent to 100 percent cost savings, the VCs said. Bottoms up, the polite euphemism for shadow IT: Wong said that while VCs encourage portfolio companies to deploy a "land and expand" strategy and get into businesses through departments rather than going through the CIO,it's a delicate balance. The CIO must grapple with the challenges and risks associated with adopting potentially unproven technology but benefits from the speed of on-boarding employees. Thanks to the cloud, many are onboarding themselves. Levine says that shadow IT has extended to developers. "I've seen situations where if the organization doesn't provide what the developer needs, they go to another company to get services and tools," Levine says. Proof-of-concepts -as-a-service: It's become fashionable for CIOs to fancy themselves as "IT-as-a-service" providers, essentially brokers of digital capabilities, including cloud, mobile, analytics and IoT. In this model, it makes sense for CIO to recognize that proof of concepts are a valuable way to evaluate new technology, Herrod said. He suggested that startups offer proof-of-concepts as a service to help. The winner for hardest position for CIOs to hire goes to… Data analysts: Levine says that if data is the most important ingredient in unlocking business value, then data scientists and analysts who can derive insights from the data and turn it into actionable information will be the toughest positions to fill. Herrod disagrees and says that he’s found the hardest hires are DevOps leaders because there is little consensus on what defines DevOps, a model for rapid software development model popularized by consumer internet companies. Herrod says that he's heard descriptions of DevOps managers range from scrum masters who run agile computing systems for speed and innovation to specialists who optimize cloud infrastructure. This story, "Edge computing will blow away the cloud" was originally published by CIO.